Like yesterday, we managed to dodge the rain and got in a full day of Takajo activities. Our Okees were up and out of camp by 5:30 AM, as they embarked on a trip of a lifetime. Their first stop will be Salt Lake City, where they will enjoy an exhilarating ride down the Park City Alpine Slide and have the opportunity to tour the city, before making their way to Moab to experience an off-road Hummer tour at sunset. During their trip out West, our Okees will have the chance to witness Bryce Canyon National Park and Zion National Park, before making their way to Las Vegas, where they will experience the Wet’n’Wild water park and the thrill of the New York-New York roller coaster. 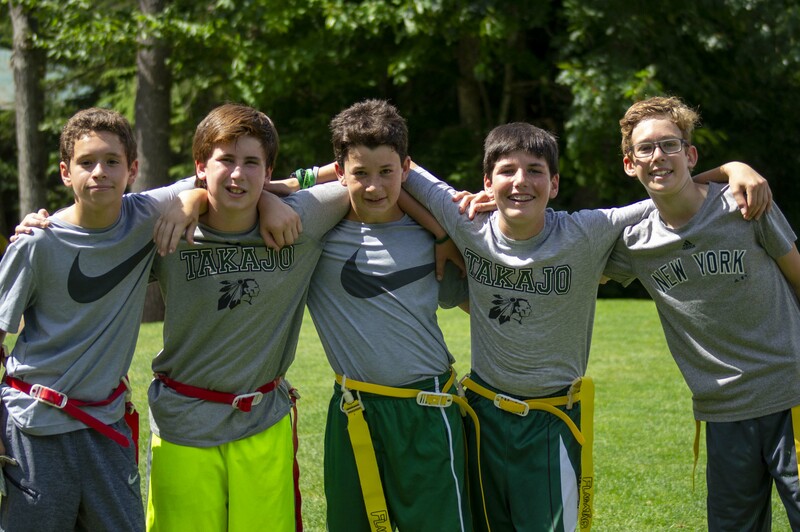 This week-long trip away from camp is a celebration of our oldest boys’ summers together, and we look at this unique experience as the culmination of an incredible camp career. Throughout the day, I had a series of candid conversations with some parents discussing their son’s growth and development during the course of the summer. As a dad, I’ve had many embarrassing moments, such as when I’ve introduced my boys to friends and acquaintances in social settings. But, these comments were often met with the shrugging of the shoulders or rolling of eyes. Many years later, when I once again introduce my sons to friends or acquaintances, they jump out of their chair, look the individual in the eye and deliver that firm handshake. What I’ve learned as a father is that what I want for my children might not materialize as quickly as I’d like. It is through constant reinforcement and delivering the message in a clam, but concise manner that has helped my boys grow into young men. I listened to a number of parents today on the phone speaking about their hopes and aspirations for their sons. They would like to watch their boy learn how to navigate through social situations in a cabin, to maintain a level of self-esteem and confidence in the face of adversity. This reminded me of my own experience of raising my own children. This is why the relationship that we have is so critical. I believe through my communication with you, that our values are aligned and that you recognize that I share your goals and dreams for your son. I believe that our camp creates an environment that reinforces all that you wish to teach in your home. While I share your desire to see your son return home with these life skills, it may not happen as quickly as you wish. I believe we are living in a microwave generation, and we’ve all grown accustomed to wanting things fast. Very often, there’s nothing more satisfying than an authentic home-cooked meal, one that requires preparation and slow cooking over time.